With IFTTT integration, a double- or triple-tap on the wrist can trigger all kinds of Internet-based actions. Misfit’s plan to move beyond fitness tracking just got a lot more serious with new IFTTT controls. IFTTT is a handy service that lets you automate all kinds of actions on the Internet. First, you define the triggering event, and then you tell IFTTT what to do when that event occurs. These cause-and-effect scenarios are called “recipes,” and IFTTT allows for countless combinations. 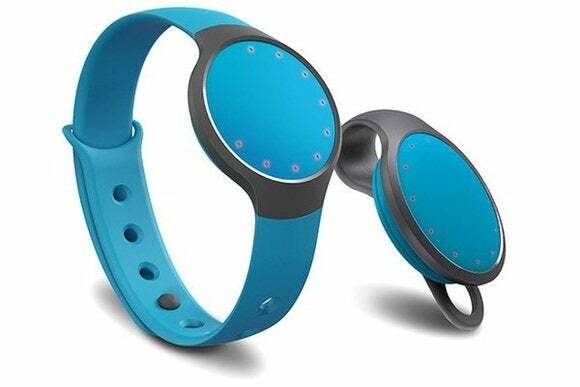 In the case of Misfit’s $50 Flash fitness tracker, double- or triple-tapping on the device serves as the trigger, effectively turning it into a remote control for Internet-based actions. For instance, you could double-tap to set a Nest thermostat to set a specific temperature, call your phone to get out of a meeting, or ask your co-workers in Slack if they want coffee. Given IFTTT’s tie-ins with various connected home devices, you could also presumably use Misfit as a wearable remote control for things like light bulbs, door locks, and garage door openers. In addition to IFTTT support, Misfit is hooking up with Logitech Harmony so users can tap to turn their home entertainment centers on or off. Logitech itself has been connecting to more smart home devices lately, which means those devices can also be controlled through the Misfit Flash. That’s not to say Misfit is abandoning the fitness angle. The company has just launched a website for tracking fitness data, and is expanding its support for Apple’s HealthKit by letting users include their sleep and weight data, instead of just step counts. Why this matters: Misfit’s trackers may not be the most luxurious, but they’re among the cheapest on the market and don’t have to be charged. (Instead, they use a replaceable coin cell battery that lasts about six months.) That makes them an intriguing option for controlling smart home devices, assuming you have a couple that would benefit from wrist-worn remote. Although Misfit started supporting a few specific smart home products back in March, IFTTT and Logitech Harmony support should greatly extend the wearable’s capabilities.